I don’t mean to petrify you, but the rather gob smacking proliferation of websites and blogs on the net means that it has never been more crucial to ensure that your website is ruthlessly efficient in converting the traffic it manages to draw. According to Netcrafts eyebrow raising March 2012 survey, there were a little shy of 645 million active websites on the net. That was a staggering 5.1% rise over the previous month. Online advertising has also risen almost immeasurably in recent years – despite recessionary pressures, the last published Internet Advertising Bureau (UK) boasted a record spend for online advertising, topping £4.8 billion. So, bottom line – more sites competing for your clients, and traffic now extremely expensive. 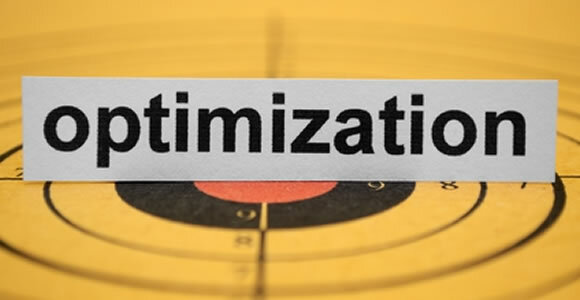 Do you see why your website Conversion Rate Optimisation (CRO) process needs to be as efficient as possible? Your whole online ROI could tip one way or the other, depending on how well, or poorly, you manage your CRO. Let’s get to work. Here’s 6 simple tweaks you can employ to substantially improve your Conversion Rate Optimisation. Split testing simply means testing different versions of your sales copy or squeeze page to see which converts best. Simple A/B testing requires you to make small tweaks to a standard version of copy to see which converts best. Just a handful of the things that you may wish to split test include headlines & content, headers/images, colour schemes and layouts. There may be other things you want to tweak in your copy to improve overall performance. By testing several features in your copy, you’ll ultimately find the right combination that yields the richest possible opt-ins and sales. A compelling headline will urge more people to read the crux of your copy. Writing a gripping headline requires you to encapsulate the biggest challenges your clients face, and how your product solves them all within a couple of sentences. Your headline has piqued their curiosity. Now it’s time for the body of your copy to do its job and bring the sale home. In a nutshell, good copy will follow the AIDA steps. Attention, Interest, Desire, Action. Heatmaps reveal the behaviour of your site visitors. There are various types of heatmaps, the most popular being visitor recording, mouse moves, mouse clicks and attention heatmaps. Heatmaps display visitor activity graphically, with different colours representing regions of heavy and low mouse activity. By mapping and analyzing visitor behaviour you can subsequently decipher what areas of your copy page are drawing the most attention and which are being ignored. Depending on the type of conversion you’re trying to secure, some solid testimonials can really help improve your conversion numbers. Increasingly, social proof that your product really does what it says on the tin is priceless in securing new clients. The use of targeted incentives, such as a free ebook or free level membership site can certainly help improve opt in conversions. Site visitors can be tempted to opt in to your newsletter to collect the freebie, allowing you to feed your potential customers a targeted autoresponder message campaign to further establish your credibility. There you have it – six downright simple tactics that you can implement within your site to really help improve and maximize your conversions. So that the next time you talk with competing site owners about your conversion numbers, you’ll really have something to CRO about.